Everything this program does, from the historic, once in a lifetime trip to Beijing for the 2008 Olympics to the instruments and music used in the marching shows depends on fundraising and donations. Please help us continue making these world class opportunities available to our children by participating in our fundraising activities! James Logan High School Band Boosters is a 501(c)(3) organization so you can make a TAX DEDUCTIBLE to the program. We appreciate all donations, big or small that you can make to our program. Be sure to check out (and forward) our promotional video. If you are making a tax deductible donation, or company matching donation, we have conveniently provided our tax deduction information. If you shop at Amazon for great Amazon deals, you can help supporting James Logan Band and Color Guard just by shopping online through this page or this special link , Logan Band and Color Guard will earn a small percentage on items purchased. Please designate Logan Band as your cause here. 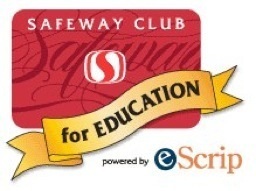 Register your Safeway Card at eScrip.com. Your purchases will support our group (at no extra cost to you) using eScrip. New users please sign up here using our group ID number 148993959 or select "James Logan HS Band Boosters" as your cause. You must renew every year. Existing members renew here. Want an exciting, fun and unique way to help raise funds for James Logan Band and Color Guard? ​Volunteer at Levi's Stadium for our non-profit group! Join other booster members and students to work in a food concession stand as a cashier or working food prep. Raise funds for our band while being a part of great events like SF 49er football, college football games, concerts and much, much more. Here's how to participate. If you're interested in Logan Band spirit wear, please check our product pages and arrange pickup at booster meetings or Logan shows. ​Letterman jackets cannot be ordered through the Boosters. If you would like to purchase a Letterman jacket, please contact our suppliers directly.